Goodbye sunshine, beach days and ice cream, hello autumn! Summer is slowly coming to a close with the leaves turning brown, the fresh chill in the air and jumpers returning into season; I'm excited to see what September brings. August was a pretty busy month filled with a Rome adventure, beach days, long drives, endless laughter and fun filled moments with friends. 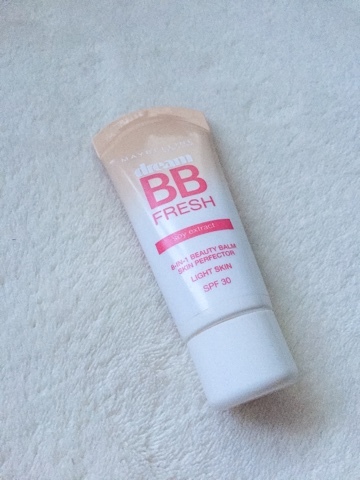 Maybelline's BB cream - When the sunshine hits and want a bit of coverage on your face, BB cream is an essential. 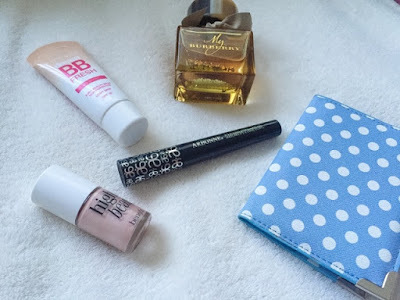 My top pick has to be Maybelline's because in comparison to the Rimmel option, it's very lightweight and feels as if you're applying moisturiser to the skin instead of a foundation. The formulation is watery yet buildable, achieving a flawless light base without having to layer up too heavily. The finish is very dewy, ideal for an everyday, glowy summer look. Benefit's Highbeam - Glowing cheekbones is something the summer time sunshine enhances and what better way than throwing your favourite highlighter in the mix for some extra shimmer. 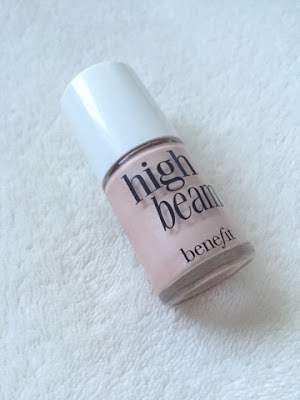 Over the past few weeks, I've been loving to use Highbeam as an everyday highlight. The wetness and dewy consistency of the formulation, leaves a natural finish onto the skin when applied. Find my full review here. 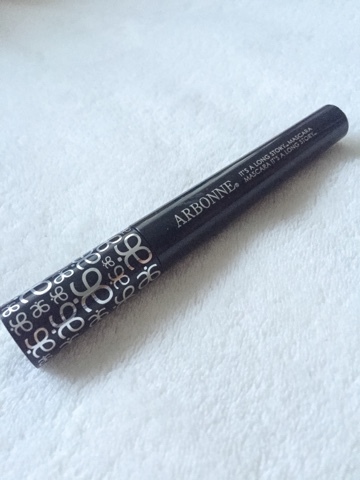 Arbonne mascara - I actually won this mascara as a prize on Twitter and couldn't wait to test out a new brand! Since I'm obsessed with Maybelline's Lash Sensational, I tried this beauty out on my bottom lashes to see how it would play out and was impressed. The large brush was handy to coat each lash and the thickness of the mascara truly helped lengthen the bottom lashes. I found it clinged quite well to the lashes and open up my eyes a lot more, when a few layers had been applied. My Burberry perfume - Ever since my best friends raved about this perfume and I had a smell of it myself, I was addicted. The lingering musky, heavy scent is heavenly, I just can't get enough. I finally decided to treat myself when in the airport last month and since have been pretty much obsessed. I'd describe the perfume as very dense, a sophisticated, slighty warm and sweet smell; I love it! The bottle even comes with glitter inside and presented in such a classy way - definitely living up to the Burberry name. If you're looking for a new spritz, I would 100% recommend giving this one a go; I wish I bought the 100ml now! Rome adventure - My last favourite has to be visiting Rome this month hence the passport in my top image. Experiencing the Italian culture, tasting traditional dishes and witnessing the incredible sights was a dream come true! I always dreamt of visiting the Italian soils whether it was Naples, Venice or Rome, my aim one day is to see the whole of Italy. Now, I've seen Rome, the capital, one of the world's most remarkable cities and that never fails to amaze me. Looking back at images, I'm still in awe at the astonishing architecture and scenery I absorbed on my trip! 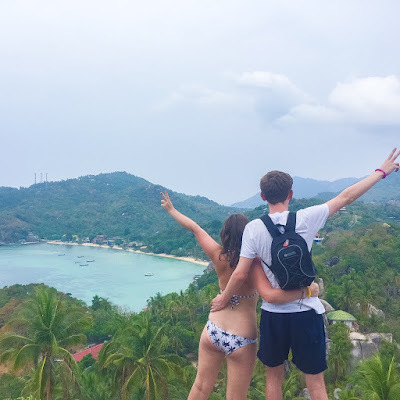 Read all about my adventure here. 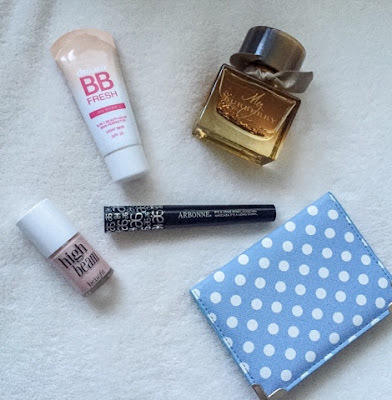 I hope you enjoyed this monthly favourites post. Which products have you been loving over the past month? 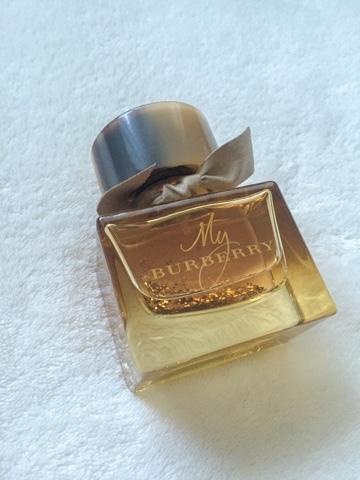 My Burberry perfume is really a nice choice, it could be on the list of anyone's top 10 favorite perfumes. Being a fan of Burberry Perfumes, I have almost every Burberry available perfume in my collection.